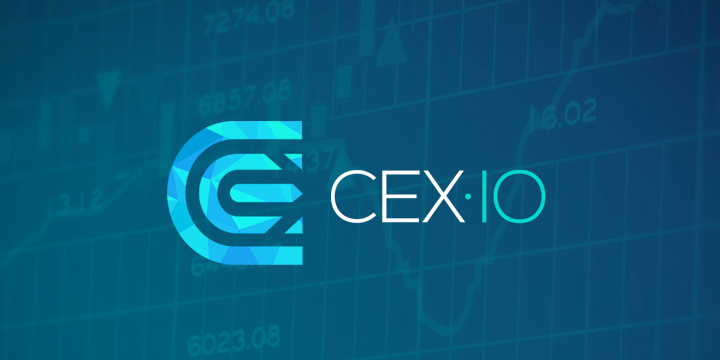 Cex.io offers exchange of fiat currency for Bitcoin and Ethereum, as well as Bitcoin/Ethereum trading against the USD. Cex.io launched in early 2013 in the UK as a holding entity for GHash.io, one of the largest bitcoin mining pools. Ghash grew to control about 42% of bitcoin hashing power. The company was founded by Ukranians – Oleksandr Lutskevych and Oleksandr Ushchapovskiy. The exchange feature was added to help users sell and buy shares of the mining pool using bitcoin. Through its cloud mining services, the exchange made it easier and more convenient for users to enter and leave mining operations. There was no need to purchase mining hardware when joining, or to dispose of it when exiting. By September 2014, Cex’s user-base had reached over 200,000. The exchange started accepting deposits in US dollars, euros and Russian rubles through wire transfers, credit cards and SEPA from users around the world who wanted to buy bitcoins or GHash mining shares. After the August 1st Bitcoin hard fork that saw the creation of Bitcoin Cash (BCH), the exchange announced they had enabled selling and buying of the new cryptocurrency on their platform. Before proceeding to the core of my Cex inspection I would like to remind readers that the company ceased all cloud mining operations in January 2016. Supposedly this was to better focus on their services as a cryptocurrency exchange and trading platform. Cex has one of the best ranges of available features while guaranteeing an outstanding beginner-friendly experience. The site is surprisingly easy to use – yet offers a many services, trading pairs, security features, and deposit methods. Supports deposits made with credit cards from a majority of countries. When compared to Coinbase, Cex accepts credit cards from significantly more countries. Offers margin trading on BTC/USD, BTC/EUR, ETH/BTC and ETH/USD pairs with good loss-protection tools. Cex competitors such as Bitstamp or Coinbase have no margin trading. Executes orders through fill-or-kill (FOK), making transactions faster and easier for beginners. Even advanced trading platforms like Kraken do not yet offer FOK orders to their users. Includes a mobile application. The android app has received 100 thousand downloads from GooglePlay. Offers an API for 3rd party developers to build customized tools. Most of the leading crypto exchanges are now seeing the additional revenue advantages of opening and API to 3rd party developers. Simple sign-up via social media accounts: users can register using their Facebook, GoogleID, VK, and Github logins. New trending altcoins are actively being added for trading. Most recently we have seen the addition of Zcash and Dash, two increasingly popular privacy-focused cryptocurrencies. Using the affiliate buy/sell page you can easily get recent conversion rates. For example you’ll quickly be able to see how much bitcoin you get for 100, 200, 500, or 1000 usd. I like the transparency offered by CEX – especially compared to other exchanges where you only see the rates after you have signed up. No known security breaches of customer funds to date. Cex has fared well while other large exchanges like Coinbase, Poloniex, Bitstamp, and Bitfinex have all experienced relatively severe thefts (though in most cases users were refunded). Delays in card verification sometimes last weeks. Supposedly this was due to an influx of new users. We are indeed seeing reports of the delays clearing up progressively. Unresponsive customer support. Same as above, though the operators CEX statement, assuring the community that extra support staff were being recruited & trained. Currently supports only seven cryptocurrencies, a small number in comparison to other leading exchanges like Bitfinex or Bittrex. However this is slightly more than Coinbase and roughly the same as Bitstamp. Some countries are not supported with credit card and wire transfer payments. Alternatives such as Coinmama support more countries for Visa/Mastercard deposits. The Localbitcoins p2p exchnage will work in every country. Buggy mobile application offers only a few of the services accessible through the website. Justifiably the app only received a 3 out of 5 rating on the Play store. While the site does its very best to accommodate beginner bitcoiners. I feel that unfamiliar users are taken advantage of through slightly higher fees. Such is also the case on Coinbase and Coinmama. Sites like Kraken or Gdax are nowhere near as easy to use, yet offer the lowest fees to everyone. The user experience takes a core part of my Cex analysis. This is after all the main take-home opinion that users get during and after their usage. The company serves its users through a website, a mobile application and an API. You can register on Cex using a Facebook, Google, VK, or Github account. The process takes less than a minute. However, before you can use your credit card to purchase cryptocurrencies, you need to submit it for verification. To verify your card, you will fill out a form that requires you to provide the name on the card, the card number and the expiration date. In addition, the exchange requires you to upload three color photos proving ownership of the card. The first photo you provide is a selfie of you holding the card with its information clearly visible. The second photo is a selfie of you holding both the credit card and a government-issued ID. Information on both documents should be readable. The third photo is a selfie of you with the back of the ID visible. After submitting these photos and filling out the form, you will be prompted to confirm that the information you have provided is up to date and valid. You will also give permission for a company compliance officer to view the information. If everything meets the exchange’s requirements, you will receive an email notification alerting you on the readiness of your card for use on the exchange. If any part of the information you provide is not correct, the compliance officer will reach out to you for clarifications. The verification process can take a few hours or up to a day. Some users, however, have reported waiting for longer than a day. The website has a superior design when compared with other exchanges such as Coinmama or Bitfinex. Beginners are easy able to navigate from the sign-in page to the trading panel. An excellent security initiative was taken by the operators to automatically enable SMS & email two-factor authentication (2FA). Such 2FA is actually quite easy to do, yet keeps accounts safe for signing in and withdrawing. Note that bitcoin security expert Andreas Antonopoulos remains skeptical as to the level of security provided by SMS 2FA. The best types of 2FA are done using tools that only you control. A good alternative to SMS 2FA is Google’s Authenticator app – which users on Cex are now able to setup. One feature that makes Cex stand out from other exchanges is that it uses the fill-or-kill (FOK) model to execute orders. This means that when you place an order, it is fulfilled immediately in its entirety. If the fulfilment cannot be achieved immediately, then it is cancelled. According the website analysis site Similarweb.com, the highest traffic to CEX.io (14.3%) comes from the US. Other countries that bring a high number of visitors include Russia (5.4%), Turkey (5.3%), United Kingdom (4.5%) and France (3.2%). Similarweb.com also shows that about 30% of traffic comes through mobile devices. The Cex mobile application is available for both Android and iOS. Through the app, you can deposit bitcoin, ether, and litecoin using a QR code. You can also place limit market orders within the app. Users can view balances, active orders and changes in price. You can also initiate, manage and cancel orders as well as use real-time data from across different exchanges to analyse cryptocurrency markets. Since the release of the app in December 2015, feedback from users has been both positive and negative. Some users have welcomed the app as a handy tool for keeping in touch with the market while on the go. I believe that such statements are indeed true, but more work could be made to expand the features of the app. Others have expressed disappointment over poor user experience. Common complaints includes the app failing to execute orders, not displaying detailed graphs and making it difficult to login in. It also only offers a fraction of the services accessible through the website. For instance, you can’t do margin trading through the app. In addition to the mobile application, the team have made an application programming interface (API) available for developers to create customized applications for trading and managing funds. The API comes in three types: Rest for accessing market data, WebSocket for professional traders and Fix for institutional traders. The trading API is limited to 600 requests per 10 minute interval. To increase this capacity developers will need to contact customer support. There are three types of fees on Cex: transaction fees, deposit/withdrawal fees, and margin trading fees. Cex charges users higher fees than most other exchanges. All transaction fees are paid by the buyer (a trader who responds to an offer). The trader (or seller) who puts up an offer on the platform does not incur transaction fees. The fees are a commission of the value involved and they range from 0.10% and 0.20%. The higher the volume involved, the lower the fee percentage. Two factors determine the amount of fees you pay to deposit or withdraw from Cex. The first is the currency involved. The second is the payment method you choose to use. Depositing through bank transfer and cryptos is free. However, withdrawing using these two payment methods costs between $30 and $50 for bank transfer—depending on the fiat currency—and between 0% and 1% for cryptos. I am ok with paying a small percentage for cryptocurrency withdrawing, but in my opinion the 10€ SEPA withdraw fee is slightly excessive – given that Kraken only charge 0.09€ for the same operation. Deposits made through Visa and MasterCard cost between 3.5% and 5% of the value involved. You also pay a further flat fee of $0.20 to $0.25, depending on the fiat currency. Withdrawals cost 1.2% of the value involved and a flat fee of $3.80. After enabling the trading of Bitcoin Cash (BCH), the operators announced that deposits of BCH are free, but withdrawals cost 0.01 BCH. Cex charges 0.2% to open a position with a leverage of 2 or 3, along with a rollover cost of 0.1%. The platform charges no fees for closing positions. While the exchange is registered in the US as a money service business, it is unavailable in over half of its states due to restrictive regulatory requirements. Don’t bother using them. The sad part is that every one of these exchanges has their drawbacks, but at least some admit when they are wrong and fix the issues while they are trying to adapt and find themselves. This company on the other hand is not one of them. This is an example of a double charge issue and their poor response. According to your account history, you have placed 2 orders to buy XLM, that were executed immediately, therefore your transaction couldn’t be cancelled. We kindly request you to check your junk/spam box. The emails might have landed there instead of your inbox. Please, also add “[email protected]” & “[email protected]” to your email safelist in order to receive emails. In case of any other questions, please let us know. Since December 2017, users from Ukraine can not pass the verification and fully use the exchange. CEX.IO is a typical fraud case. Be careful. “Recently, following the efforts of our blockchain specialists, we have pushed stuck Bitcoin transactions. It was done using the RBF (Replace By Fee) feature. This method allows replacing a transaction in the memory pool by the same one but with a higher fee. It is worth mentioning that such Bitcoin transactions may be displayed as double-spent in the block explorers, but it doesn’t relate to anything illegal. To process such transaction, some time is still necessary. Please read more information here blog.cex.io/cryptonews/bitcoin-transactions-pushed-16934. We kindly ask you to resubmit the ticket via support.cex.io with the detailed description of the case and the screenshots. If you have sent your coins to a wrong BTC address (to BCH wallet instead of BTC one, or vice versa), please, add “btc_bch” to your description. Reply to this ticket will be reviewed with low priority. So please resubmit your ticket via help desk form. Only boots responses without any human interaction. I strongly don’t recommend them. if you want your money safe stay away from their platform. PS : I have written to them several times that I will start posting about their bat services and problems at withdrawals but no responses. If you need additional information about them please contact me. Till then I will spam them each day with at least a new claim support request and extremely bad reviews on all crypto forums and groups. I’ve been fraud with may payment of 4000USD to CEX.IO from 2 months! You can report this here: actionfraud.police.uk/report-fraud-about-you Please select “Fraud to do with a financial investment, e.g. purchasing stocks or shares, a mortgage or an investment scheme “. Hi all,can anybody tell me how to transfer ether from my cex.io account to my hard wallet (nano). I have repeatedly asked support,but to no avail.I have been through their site numerous times. I have waited 6 days now for a bank withdraw after selling 1.5 BTC to CEX.IO. I live in California and the United States was NOT on the pertinent restricted lists that I could see. Support sent me links to a page that did indeed list the U.S. as restricted. But “restricted” does not mean unavailable entirely — and if it did, then why have complicated “limitations” spelled out on the same page for MC cards, Visa cards, bank accounts and CryptoCapital respectively? Why bother to verify cards and accounts in America at all if the flow of money is only one-way? They make many contradictory statements throughout their web site and support “querries”. If all withdrawals to U.S.-based accounts and credit cards are prohibited then wouldn’t that be the first thing to say when so much of their traffic comes from the U.S.? If they can not transfer my US$ to my bank, then why don’t they just say so, cancel my order, and be done with it?? I have had at least 15 email interactions with their support staff as well as a manager and STILL have not had a straight answer. Their english-language skills are lacking to the point of willful obfuscation. If I had known that selling my BTC would be this over-complicated I would never have bothered with them to begin with. I guess they want me to buy some other cryptocurrency and withdraw that to a personal wallet and I have done some of that, but I would like at least some of my $25,000 returned to me!! Is that too much to ask?? CEX is a legitimate company with small time behavior, but how safe is it? There’s good verification processes and you supply a fair range of proof, though I doubt the company would be brazen enough to refuse to return your money and keep it, but it’s frustrating it can’t just do what it says on the tin and let you trade after you have been verified. I think that the inclusion of margin trading and FOK is great, but I think that what makes this appealing the most (especially to beginners) is the fact that Cex has a section displaying the latest exchange rates — all without signing up first. I expect Cex to grow further in popularity, esp. with the many sign-up options. There are a billion people using Facebook monthly. The fact that FB users can register thru their social media account is a good start. Still, registration is one thing and fees are another. On their side, it’s a smart move to offer an excellent UI and UX. On the other hand, the new users have to pay relatively high fees. Is there a BTC or cryptocurrency exchange that offers both good UI/UX and low transaction fees? It’s stated that Kraken and Gdax offer the lowest fees already — can’t they improve UI/UX too? Or is it due to those low fees that prevent them from upgrading the site? With an easy sign-up option (FB and Google, in particular) plus two-factor authentication (either SMS or Google) and no major security breach yet, I think new users will still go here despite the costly fees. Not to mention, they are active on both Twitter and Reddit. Perhaps, Cex is a fine example of getting what you pay for. As for sign-up options included in this CEX.IO review, I’d have to agree. The convenience of using your FB account to sign up is a practical way to gain a lot of new users. I think that a further analysis of Cex will eventually reveal that people are indeed going to accept those relatively high fees. They will likely think that they are getting what they pay for with the beginner-friendly features, good communication (esp. on Reddit and Twitter, as noted in this inspection) and strong security, among other CEX advantages. Likewise, the new users won’t be disappointed with the limited number of supported cryptocurrencies. They will focus on Bitcoin, and possibly Ether.